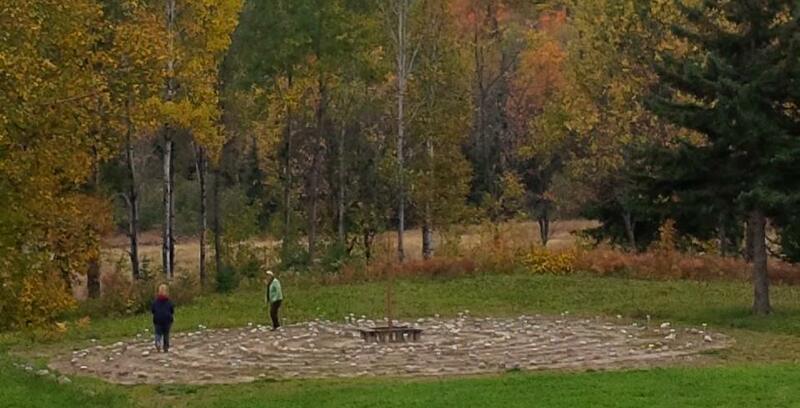 Walking Peace Labyrinth provides profund sense of synchronicity between body, mind and breath. Think of walking meditation as mindfullness in motion. Instead of sitting with eyes closed and trying to concentrate on breath, or repetition of mantra, focus on the sensation of your feet touching the ground. Similar to sitting meditation, walking meditation focuses on observing thoughts and sensations. As you walk slowly you will take a note when you lift your foot, detach from the ground and move through the space. Tracking the movement throught the space is a way of staying present in a moment. Wallking meditation is good for high energy multitaskers and those with body akes and pains who may have truble sitting for meditation. It takes 12-20 minutes to complete the wining pathway and it depends on how quick, or how slow you walk. 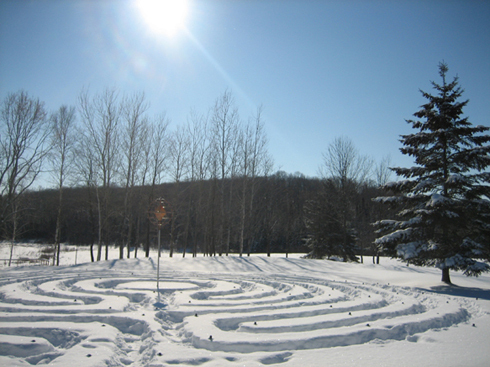 Walking winding path of the Peace Labyrinth deepens our perspective on life and opens our hearts to new dimensions of inner peace. Krishnan Namboodri Vedic Astrologer and priest from Kerala, India, walked, pufiried and blessed the Peace Labyrinth to evoke the most powerful healing potentials. Auspicious 108 solar lanterns are like a mala bead rosary glowing on the cloudy night reminding us to keep the inner light even in the darkest moments of life. In the centre of the Peace Labyrinth there is a bench for meditation and a copper sculpture that represents our planet to remind us that inner peace of an individual has a far reaching riple effect. The path has its charm all year round.